Basket. Material: Native fiber; Shape: Round; Color: Brown with beige design; Period or Date: Over 70 years old - donor; Country: America; Site: California. 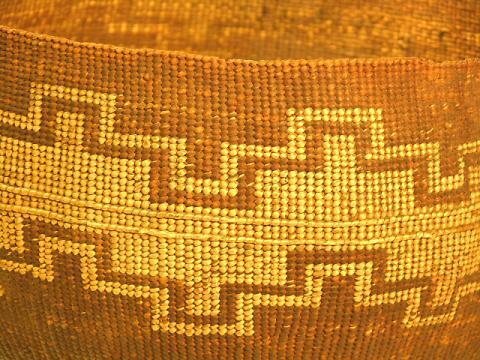 Description: California Indian foo basket cooking mush. 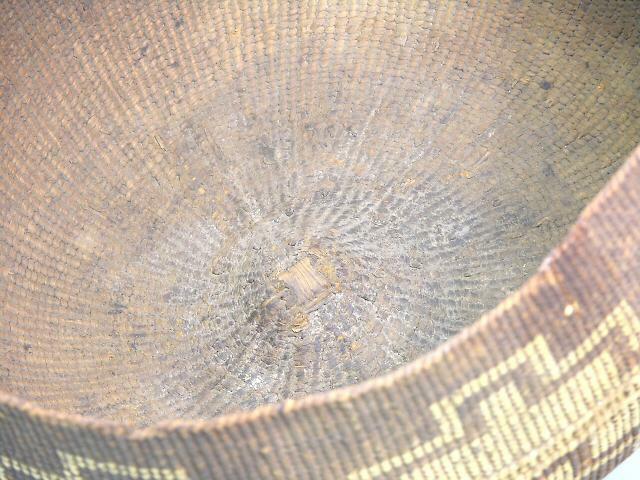 From the History Information Station "Object: Basket made by twining using split pine root (Pinus spp.) with bear grass (Xerophyllum tenax) overlay design. 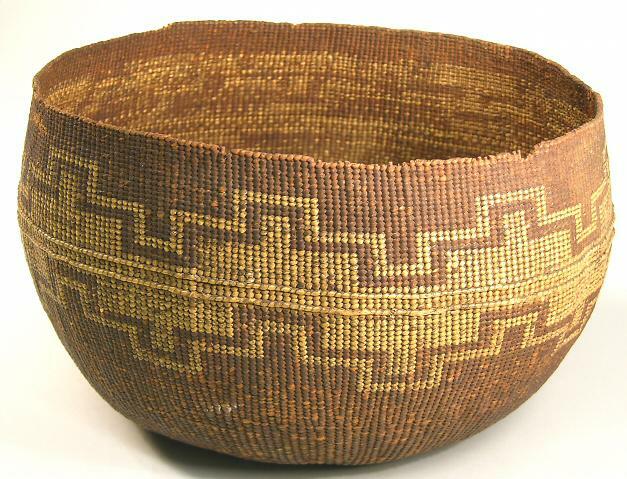 This basket was collected among the lower Klamath River peoples, and dates to the late 19th or early 20th century. 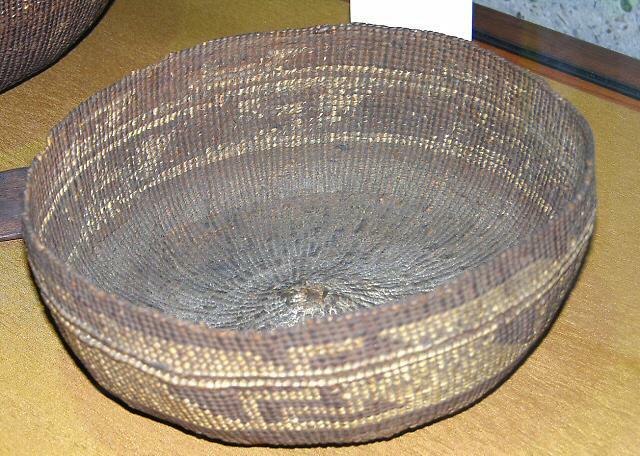 History: This basket was used for boiling acorn mush for the family meal. 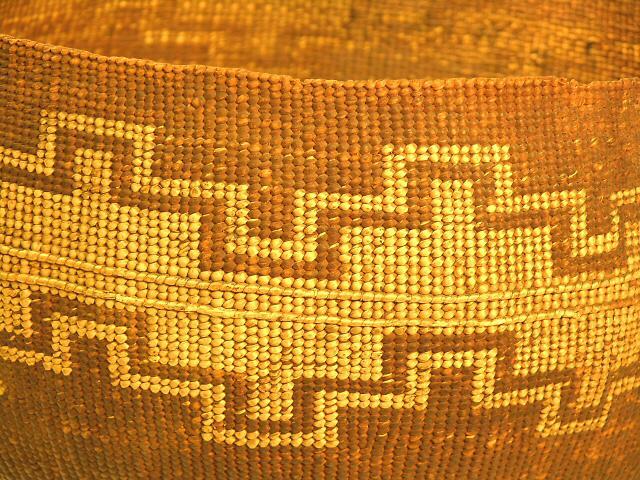 Did you notice the two raised rows of weft stitches near the center of this basket? Cooking baskets, and other types of baskets, used to hold water, were traditionally strengthened by two hazel sticks held to the outside of the basket by regular twining strands. This basket, which is used to cook moist mush, has been reinforced with willow sticks so it will hold its shape."